NordicTrack Elite 12.7 Elliptical is built to perform a supreme workout and speed up to loose more calories. This elliptical provides features like 35 in-built workouts and 26 digital resistance levels which helps to brns more calories. NordicTrack Elite 12.7 Elliptical has smooth and long adjustable stride and power incline ramp which targets different muscles easily. 20-22″ Adjustable Stride-With SMR Silent Magnetic Resistance, every adjustment is quiet, smooth and natural. Transport Wheel-Quickly move this elliptical from room to room with these built-in wheels. Front Drive-The flywheel and pulley system are located at the front, delivering safety and stability with a taller elliptical pattern and a shorter footprint. Weight Capacity-This elliptical accommodates up to 375 lbs. 7″ Color Touch Display-Scroll through your stats with the swipe of a finger, then go online while you workout. Read email, watch sports, peruse your favorite social networks. Digital Resistance Levels-Quick, responsive, 1-Touch controls adjust your resistance to burn more calories. Enhanced Flywheel-Engineered for incredibly smooth performance, this 32 lb. effective inertia-enhanced flywheel delivers a more natural ride. You’ll feel the difference in your first workout. Warranty-The E 12.7 is protected with a Lifetime Frame Warranty, 5-Year Parts Warranty and 2-Year Labor Warranty. Workout Apps-Get the training you want with built-in workouts that target calorie-burning, incline or intensity goals. Ipod Compatible Audio Port-Two 2″ speakers deliver incredible sound to keep you motivated and moving. Incline Ramp-Get better results by changing the incline of the elliptical from 0 to 20°. Resistance Controls-Quickly personalize your workout intensity at any time with in-handle controls. Adjustable Cushioned Pedals-A grid of gel pads increase stability and protect against numbness on these pedal, which easily adjust to three different positions for a customized fit and feel. Water Bottle Holder -Stay hydrated throughout your workout by keeping your water bottle close. Wireless Chest Strap-Maximize your results with heart rate training. The included wireless chest strap sends a continuous reading to the display so you stay in the right training zone for better, faster results. Dual Cooling Fans-Two built-in fans – one on the console and one on the elliptical body – keep you cool while you burn calories. IFIT Enabled-A revolutionary interactive training program, iFit Technology helps you get much more out of each workout. *Note: Most of the sites, stores or shopping portals listed above sell NordicTrack Elite 12.7 Elliptical with discounts and other exciting offers. There is a possibility that the some of above websites are not selling NordicTrack Elite 12.7 Elliptical now. Toughtrain.com is not liable for such cases or instances. Also we do not recommend any seller for NordicTrack Elite 12.7 Elliptical and a buyer should buy from where he/she gets best deal with quality of products, service and on time delivery (shipment). One of the most selling cross trainer of Nordic Track, have stylish look and huge number of workout programs. What amaze me most its smoothness. Even a constant workout of an hour or two wont make you feel tired, offering a better result. 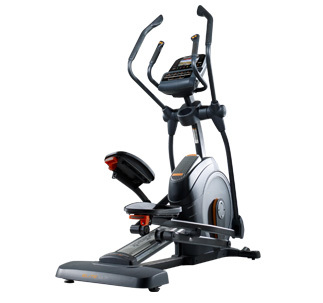 Full of entertaining features, Elite 12.7 Elliptical is a best buy. One of the Best Elliptical in the market at this price range. If you are looking for some extra elliptical at low rate than this one is the best choice for it. Will rate 6 out of 10. Got serviced for some resistance issue, only after the 3rd month and since then its working fine. So you can’t say to be the best yeah but is one of the best choice at this price. No machine is ideal and so is this, but still its very reliable. Has been using this elliptical of NordicTrack from last 1 and half year and haven’t faced a single issue. Its all good, even after the average usage of 1 hour a day. Being an athletic, i must say this is one of the most benefiting machine i have come across. Lower body exercises were never so easy, but this machine motivates to workout more and more without the risk of an injury.